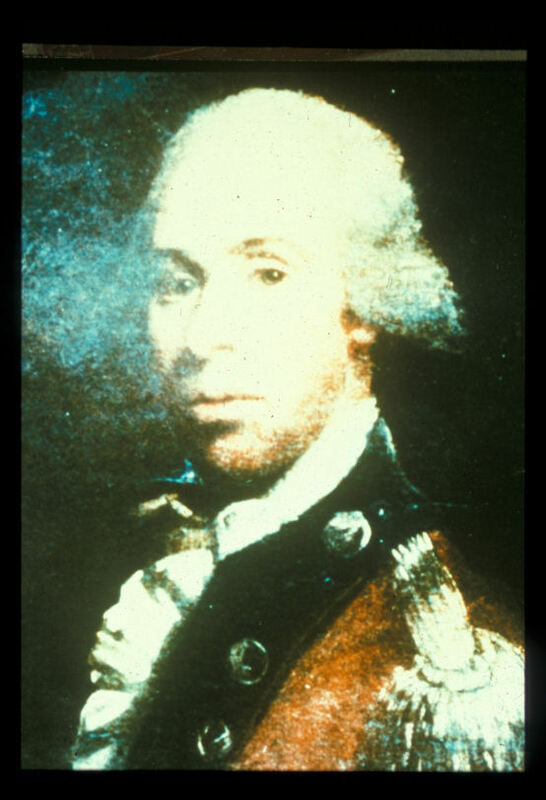 In the early part of the war, The Board of Associated Loyalists was formed in New York and chaired by William Franklin. The King authorized this group to conduct raids in order to acquire continental supplies, and to show his gratitude, allowed them to divide captured goods among themselves. 200 acres of land were promised to all of those who stayed the course for the duration of the war. Although the raids were to be strictly against military targets, many loyalists were very angry over loosing their homes, land, jobs, and friends, and found it quite difficult to limit their aggression to military targets. Being in disagreement with British military tactics, and knowing that Britain had failed to put down the initial uprisings in the colonies, The Board of Associated Loyalists felt that it would take a more unorthodox approach to warfare in order to shift the war back into England’s favor. In 1776 the New Jersey Volunteers were formed and based in New York which was occupied by the Britsh. To have a such a large loyal group of New Jerseyeans working with them was most beneficial to British military efforts, for with free reign of New Jersey, the British army could attack the continentals in Pennsylvania while easily protecting their supply line in New York. The King’s authority to conduct raids, the anger of loosing their lives as they were, the promise of booty and land, and the largest loyalist population percentage of all the colonies would soon prove to be the recipe for the largest and most feared loyalist regiment serving the British army, and this regiment would embark upon a cruel, fear-based campaign that New Jersey residents at the time would much rather forget than remember. We initially learn about the Revolutionary War with stories of grand battles where long lines of dashingly clad men faced each other on famous battlefields, but we later learn that there was much more to that war than meets the eye. It was not only fought at Boston, Philadelphia, and Charleston, it was fought in Crosswicks, Mount Holly, Hancocks Bridge, and in practically every town in every colony either by pen or by sword. Out the New Jersey Volunteers’ anger and hatred, a leader emerged who would transform their feelings into actions, a leader who would most definitely bring the sword, Ensign Moody. Ensign Moody led New Jersey Volunteers in countless raids and robberies that were not necessarily aimed at supply wagon trains for the main army, but at the farms, businesses, and towns that supplied the wagon trains, and at any people in those towns who were in support of the rebellion. The brutality and inhumanity of NJV acts under Moody quickly earned a sinister reputation for the group. Aided by reports of NJV attrocities in the newspapers, fear would turn into hysteria when warning of Moody’s being near was heard. Moody paid great attention to the smallest details, for if news came to him that a rebel had stolen a few Tory horses, the Rebel would be hunted down by a NJV detachment, if a Tory prisoner was executed so would a Rebel prisoner, if there was a rebel garrison in your town, your town was a target. During a raid, Moody was captured and sent to West Point, a heralded prize to the rebellion where as a prisoner, he was treated poorly for a gentleman. This treatment occured under the fort’s commander, Benedict Arnold, who was at that point but a short time away from turning coats. Moody escaped and after a short time was back with NJV to continue his plight of anger and revenge. Did Ensign Moody play a role in Arnold’s turn, and was Arnold involved with Moody’s escape? In 1782 a course of events would unfold that would end up being the “last straw” for NJV. A village in Toms River was attacked, the rebel garrison and their commander were taken, and the village was put to the torch. While in NJV custody news came that a loyalist prisoner was killed and mutilated by rebels, so with no official authority from the Board of Associated Loyalists, the rebel commander was hung. This caused an uproar of rage from both the continentals and the British army. NJV had gone too far. George Washington vowed to kill a loyalist officer in revenge if the man responsible, Capt. Lippincott, was not handed over. An officer was highly valuable in prisoner exchanges, so the British army was upset at the opportunity lost. The Board of Associated Loyalists refused to hand Capt. Lipincott over, and would not take responsibility for the act. The King now felt that the board or it’s NJV Regiment no longer served his interests, but served their own. This led to the eventual disbandment of the Board of the Associated Loyalists. The disbandment was inconsequential, for at this point, all sides were tired of the war and wanted it to end. 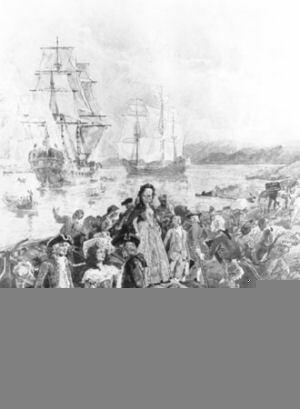 After Yorktown, the British gave New York over to the Americans, and the loyalists fled to eastern Canada, where the King made true on his promise of land, and where descendants of NJV soldiers still live.